A girl walks into a bar. She sidles up to a stool. The bartender gives her a nod and hands her a cocktail list. The cocktails have names like the Dye House, the Hetty Green and Bête Noire, and each is explained only by a list of ingredients. The girl recognizes some of them — gin, Scotch, vodka and rum; mixers such as juices, tonic and seltzer. But many of the names are mysterious enough to incite the imagination. 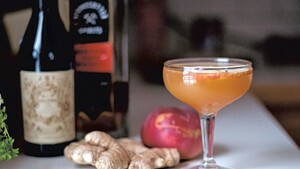 Who wouldn't want to ride a Chartreuse Cynar into CioCiaro to sip Luxardo with Pernod? Even for the somewhat versed, one glance at a modern drink list can present more than a few stumpers. As cocktail culture evolves, with bartenders constantly working to unveil the next great combination of liquor, liqueur, mixer and garnish, the list of common ingredients balloons from seemingly manageable to whoa. 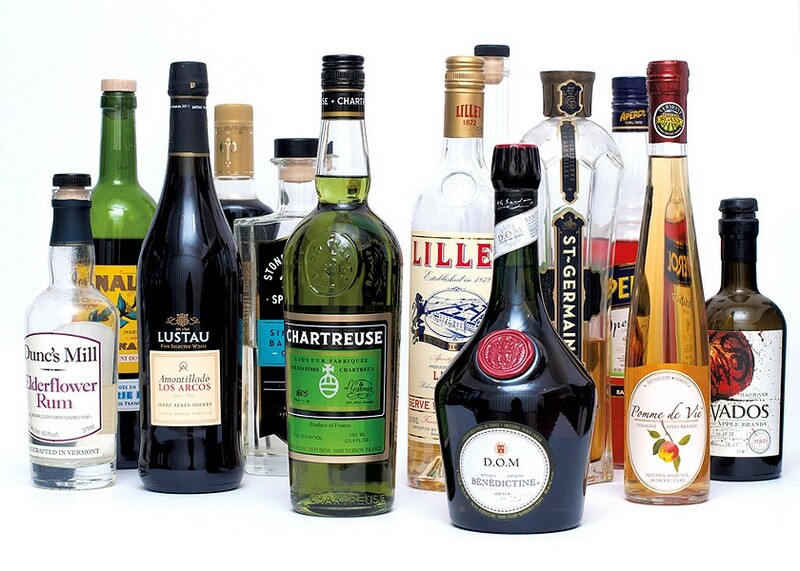 We set out to familiarize ourselves with some of these foreign spirits. 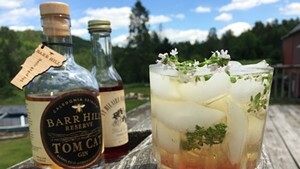 Gleaned from conversations with a few of Vermont's finest bartenders and distillers, here's the lowdown on six lesser-known mixers — with a cocktail recipe for each. Luke Williams, general manager, the Reservoir Restaurant & Tap Room, Waterbury. This Grinch-green, slightly bitter herbal liqueur is made with 130 different botanicals. Its story begins in a French monastery just south of Paris, circa 1605. A royal marshal by the name of François-Annibal d'Estrées gifted a worn, undated manuscript filled with alchemy and other medieval magic to a group of Carthusian monks. In its pages was a formula for an "elixir" said to harbor potent life-giving properties. After spending nearly a century trying and failing to decode the recipe, the monks sent the manuscript to the Grande Chartreuse — the headquarters of their order — located in a remote valley in the French Alps. There, one clever brother committed a more user-friendly formula to paper, and the monks put the elixir into production. But the story doesn't end there. The Carthusians lost their mountain distillery three times — twice to revolutionary politics, once to fire — between 1789 and 1935. Since World War II, only a handful of monks have seen the recipe. Just two oversee production, from processing the herbs to distilling, aging and bottling the final product. Everyone involved is sworn to silence. For that reason, verifying this story is tough, but it remains mostly uncontested. 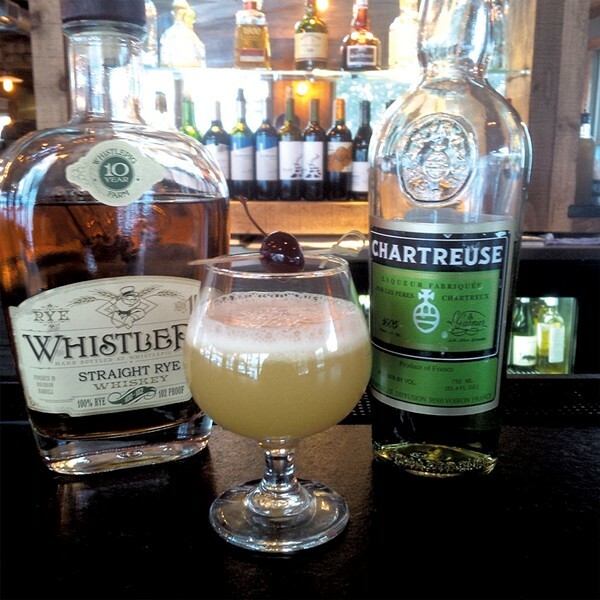 At the Reservoir Restaurant & Tap Room and the Bench, in Waterbury and Stowe, respectively, Luke Williams uses Chartreuse to enhance other liquors. "It's about deepening the flavor profile and making things more interesting," he says. 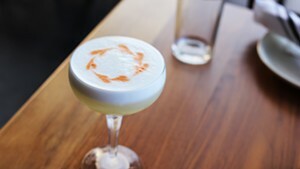 In an herb-tinged whiskey sour, the citrus amplifies the botanicals in the Chartreuse, which in turn develop the bouquets of the whiskey and the citrus. Place the ingredients in a shaker and fill halfway with ice. Shake vigorously until the sound of the ice starts to change and froth forms in the shaker. Strain into a glass and garnish with a Bing cherry. Chris Maggiolo, production manager, SILO Distillery, Windsor. "Amaro" means "bitter" in Italian, and this moscato-based aperitif from an old Piedmont winemaking family owes its tongue-twisting character to an infusion of cardoon and other thistles. Still, Cardamaro is blithely sweet and winey, far less abrasive than many other Italian amari. Six months in oak barrels give the drink a nutty, woody character. 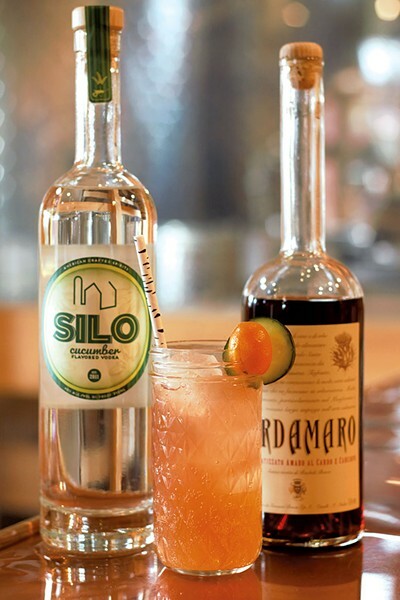 Earlier this winter, Windsor's SILO Distillery introduced a new cucumber-infused vodka. Production manager Chris Maggiolo likes to mix it with Cardamaro's "unique, bitter, vegetal flavor profile" for a cocktail that blends cucumber cool with a kumquat-y tang. Muddle two kumquats with the honey simple syrup. Add SILO cucumber vodka, Cardamaro and cranberry bitters. Shake well. Strain into an ice-filled Collins glass. Top with soda water. Garnish with a slice of cucumber and/or kumquat and serve with a long spoon or straw. Don Horrigan, cofounder, Sumptuous Syrups of Vermont, Manchester. In the late 19th century, Bordeaux wine merchants Raymond and Paul Lillet bottled the first run of Kina Lillet, a fortified white wine flavored with citrus and aromatics. Like all quinquina aperitifs, the wine incorporated bark from the cinchona tree for its quinine, which added a touch of bitterness. Kina Lillet was integral to the Vesper martini, famously ordered by James Bond in Casino Royale. Though the company rebranded the drink as Lillet blanc in the 1980s — and altered the recipe, making it sweeter and smoother — Lillet remains a vogue mixer, a light and rosy foil to any big-boy boozy backdrop. 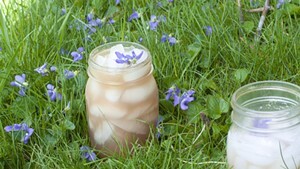 Sumptuous Syrups of Vermont cofounder Don Horrigan likes to blend it with bubbles and maybe a little citrus. 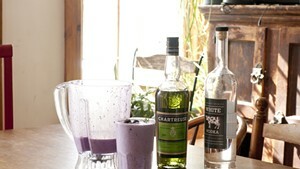 Or shake it up with gin, lime and his Lemon 3 Basil syrup. Combine all ingredients, except the soda water and kiwi, in a cocktail shaker with ice. Shake vigorously. Strain into an ice-filled Collins glass. 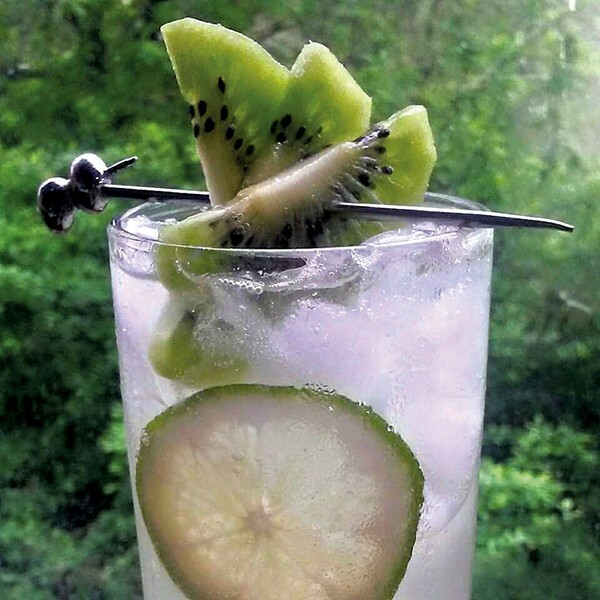 Top with soda and garnish with kiwi. Sas Stewart, cofounder, Stonecutter Spirits, Middlebury. Like Chartreuse, Bénédictine traces its lineage to a pre-Renaissance potion. Or so claimed a French wine merchant named Alexandre Le Grand, who developed the liqueur in the 1860s. He said the recipe came from a 1510 tome by a Benedictine monk, which Le Grand pored over for months until — voilà! — he arrived at a brandy-based spirit. He dubbed the 27-herb liqueur Bénédictine and put it into production. Alternate versions of the story say the merchant formulated the recipe with help from a local chemist. Either way, Bénédictine was a smashing local success, and Le Grand built a palatial factory to produce it. That factory burned four years after opening, in 1892, and Le Grand died before he could see the opening of the rebuild in 1900. The ornate facility still operates, though Bacardi now owns the brand. Stonecutter Spirits cofounder Sas Stewart says the off-sweet spirit is a natural match for her barrel-aged gin. "It has touches of honey but this herbal backbone," she says. "It pulls out the orange and herbal qualities [in the gin]." Stir together gin, Bénédictine and Orleans for eight to 12 seconds; strain into a coupe and serve with a thyme sprig clipped to the side. Kristen Fehrenbach, cocktail czar, Popolo, Bellows Falls. If cider is the natural evolution of apple juice, then brandy — cider distilled into straight, unadulterated liquor — must be the fruit's highest expression. In the early 2000s, Sabra Ewing and Sebastian Lousada of Vershire's Flag Hill Farm bottled Vermont's first legal brandy since Prohibition. Called Pomme-de-Vie, it's made from organic estate-grown and wild apples, which are distilled twice over an open flame in a simple, 50-gallon still. 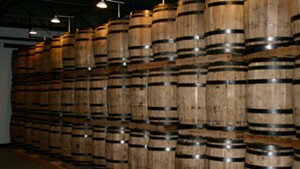 The brandy then ages in white-wine barrels for about a year. 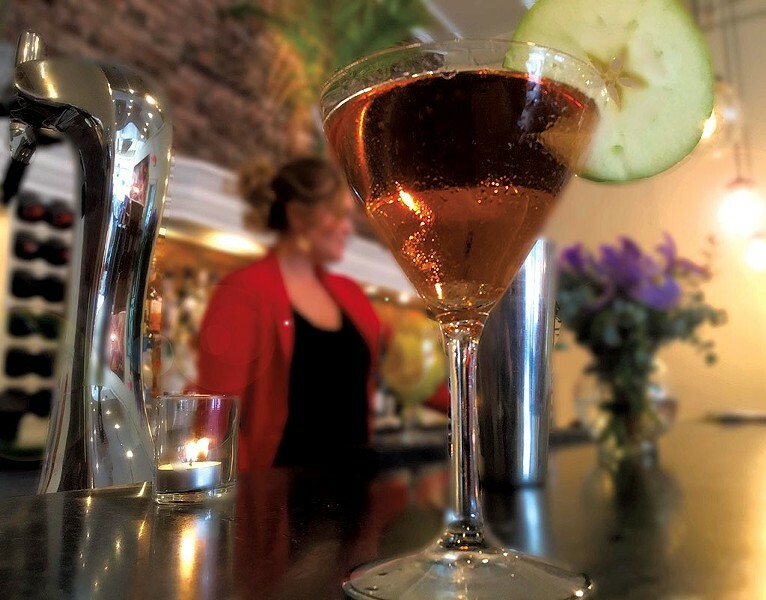 Behind the bar at Popolo in Bellows Falls, Kristen Fehrenbach blends the clear, fruit-scented brandy with an aromatic rye vodka and Orleans Bitter in a riff on the Polish tradition of chasing vodka with apple juice. Place ingredients in an ice-filled shaker. Shake and strain into a chilled coupe. Garnish with a paper-thin slice of Vermont apple. 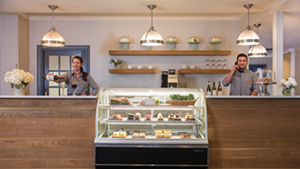 Laura Magarian, bar manager, Essex Culinary Resort & Spa, Essex Junction. In 2007, St-Germain hit the beverage market like a flower shot to the face. Suddenly, elderflower was everywhere: Trendy bars floated the sweet, floral liqueur into Champagne flutes, built martinis around it and found fun ways to mix it into just about everything. Bacardi purchased the brand in 2013 and increased production to meet demand. It's a fine liqueur — sweet but not cloying; flowery, rich and barely fruity. At the Tavern and Junction at Essex Culinary Resort & Spa, bar manager Laura Magarian recently launched a line of "chef-inspired" cocktails. Bartenders work with fresh, seasonal ingredients, much as the chef plays with produce in the kitchen. 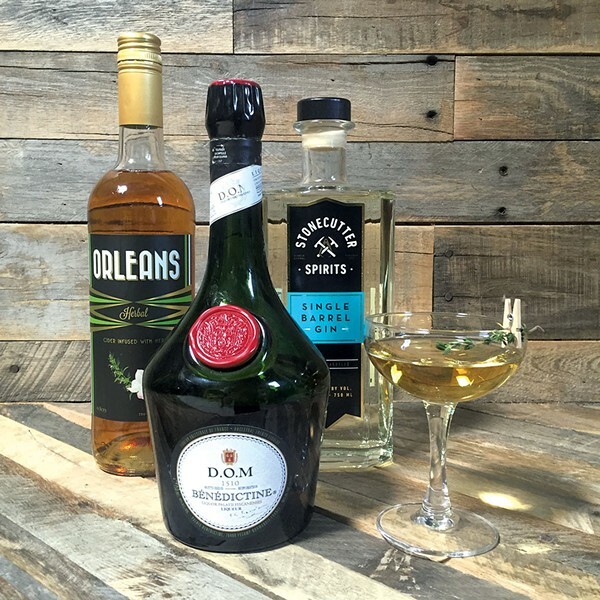 St-Germain works well with most spirits, Magarian says — and it's great as a replacement for traditional sweeteners. 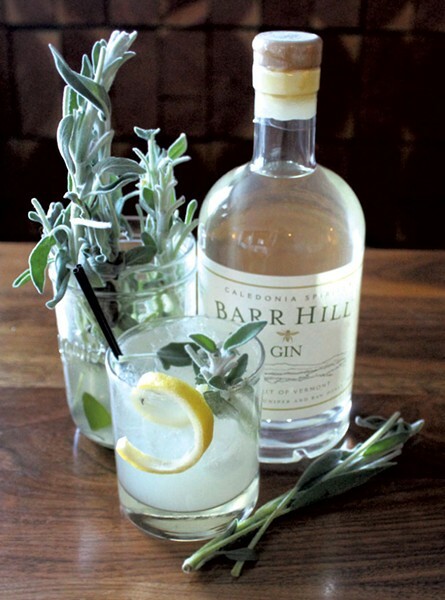 In the Sage 75, she mixes it with Caledonia Spirits' smooth-drinking Barr Hill Gin, along with sage, citrus and sparkling wine. Muddle the gin, lemon, sage and St-Germain in a mixing glass. Strain the mixture into a lowball glass filled with ice. Top with Prosecco and garnish with fresh sage and lemon peel. Sam Nelis, bar manager, Waterworks Food + Drink, Winooski. When most people think of sherry, they imagine that syrup-sweet dessert wine sipped by great-aunts and grandparents. That's a shame, says Waterworks bar manager Sam Nelis (also vice president of the newly formed Vermont chapter of the United States Bartenders' Guild). According to him, the fortified Spanish wine is largely misunderstood — and often very dry. Sherry, like port, is aged in a solera system: A portion of the oldest wine is poured into each empty barrel before new wine goes in. This ensures uniformity, but it also means that every bottle of sherry contains a whiff of wine dating back to the cellar's first vintage. Depending on the processing method, sherry can be clear or creamy, saline and funky, or oxidized and bitter. Amontillado falls in the middle of the spectrum — bitter and rich with grapy fruit. It's a key player in Waterworks' adaptation of the New Spain cocktail, which Nelis found in Talia Baiocchi's Sherry: A Modern Guide to the Wine World's Best-Kept Secret, With Cocktails and Recipes. *Juice one part fresh ginger, combine with one part water and two parts sugar; heat until the sugar dissolves completely. **Mix one part agave nectar, one part water. Fill a shaker with ice. Add the sherry, mezcal, lime juice and syrups; shake well. Strain into a rocks glass filled with ice and garnish with lime. The original print version of this article was headlined "Supporting Spirits"